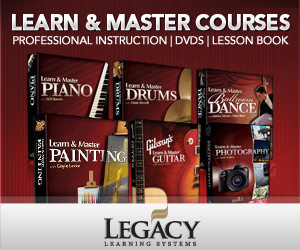 I haven’t spend much time talking about Educents here at Music in Our Homeschool. But that will soon change! I recently did a search at this neat educational marketplace deal site to see what they had in the area of music and was quite impressed! Below are some of the best music products at Educents. Which one interests you the most? If you don’t want to buy now, they also have a wish list you can place the items in for later. The lessons cover basics about proper violin, including hand and finger position, the elements of correct bowing technique, how to tune the instrument, and playing rhythmic tunes. Games make learning fun, and students will learn songs that they can share with friends! This 100% reproducible book is packed with four sequential units of eight lessons each, all designed to prepare your students to read music. Most lessons are followed by a page of exercises, ideal for assessment. And, you will find page after page of large, reproducible music symbols—great for bulletin boards and flashcard learning. The comb binding creates a lay-flat book. Who’s ready to rock? This electric guitar starter kit is equipped to let musicians ages 5 to 12 rock ‘n’ roll on demand. It’s a great starting point for aspiring rockers to form a band, or learn how to strum solo like a real rock star. Recorder Express is the track to becoming a great recorder player and having fun! 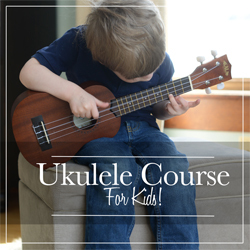 More than 120 folk, pop, and original songs and exercises are included as well as technique tips and beginning music theory. Levels one and two are covered in this one edition. Alfred’s Kid’s Drum Course is the easiest method ever for kids ages 5 and up from the makers of the #1 best-selling method for kids. This complete pack includes everything you need to get started playing right away!